Crochet Autumn Wreath. 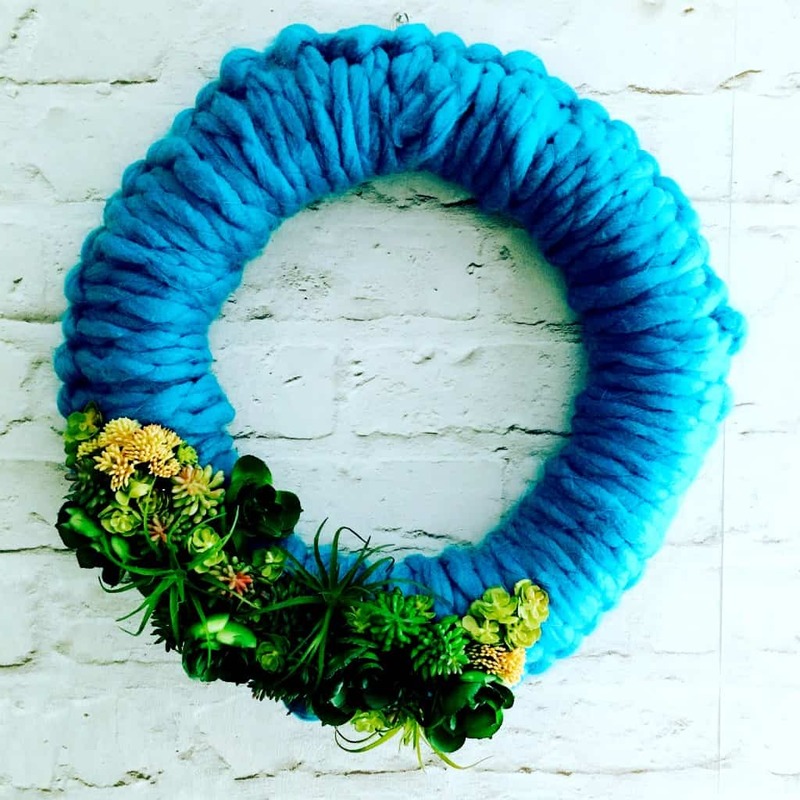 Yarn wreath to decorate for fall. I know that technically it’s not even September yet but I am looking forward to the onset of cooler weather this fall. After that if we can skip November through March and head straight back to spring I would be pleased. I think I am going to be one of those people who heads down south for the winter when I get older. I don’t like it too hot or too cold. Spring and fall are my favorite seasons. In anticipation of fall I created this crochet autumn wreath. I used super cozy blanket yarn, felt pieces and a little fake pumpkin from the thrift store. To create this wreath you will need to know a few basic crochet stitches like Chain and Double Crochet. I have linked to some videos in the directions at the end of this post. 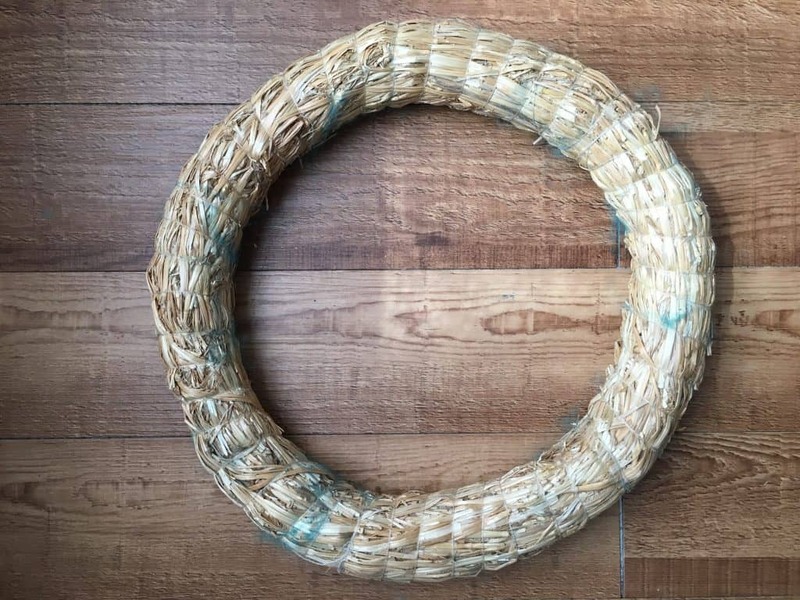 Start with a 10 inch straw wreath base. 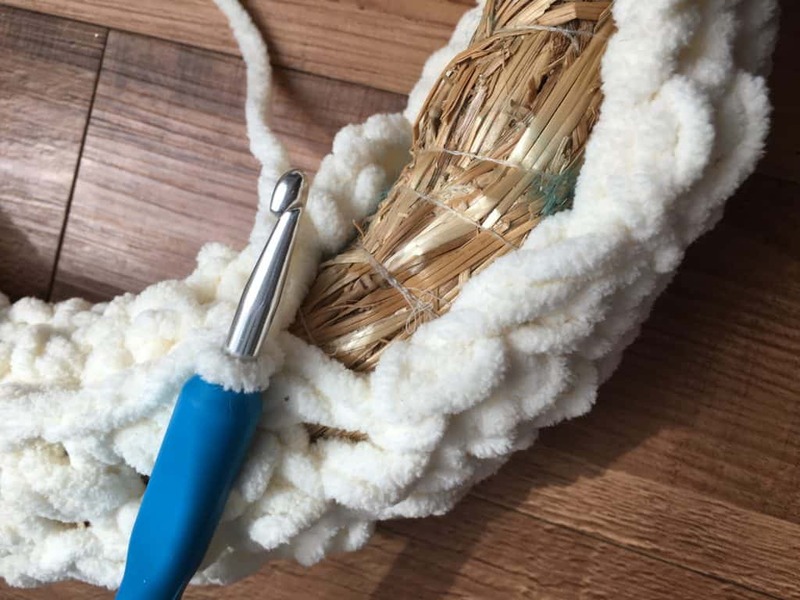 Take your blanket yarn and make a chain long enough to wrap around the wreath base. I did chained about 20. 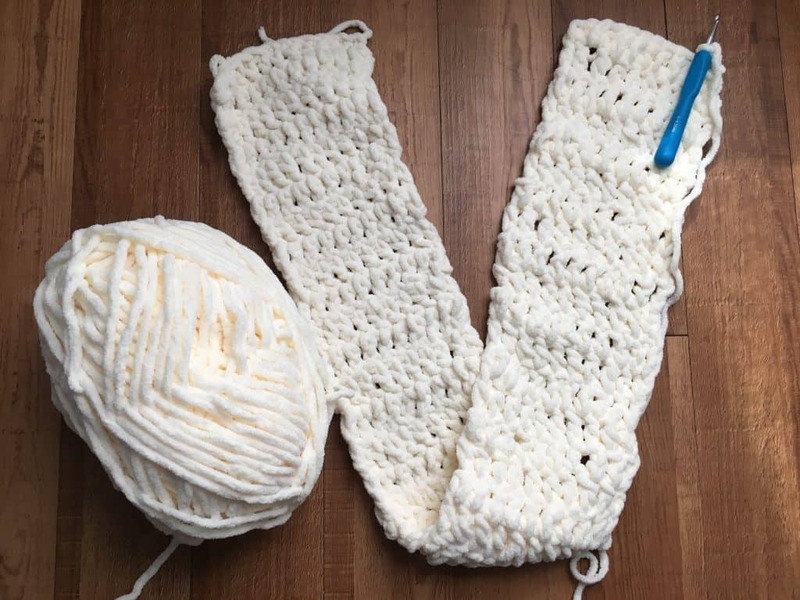 Then double crochet, making a long scarf-like piece. 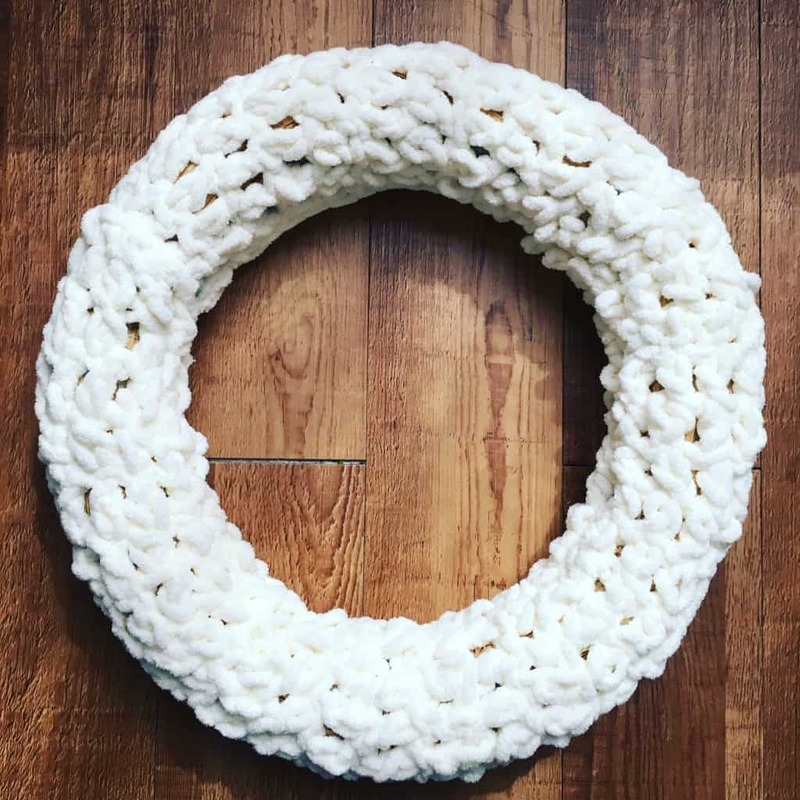 Once the piece is long enough to wrap all the way around the base, place the crochet “scarf” on top of the wreath base and stitch it together on the back side using single crochet. Once it is attached tie off the end and weave it in. 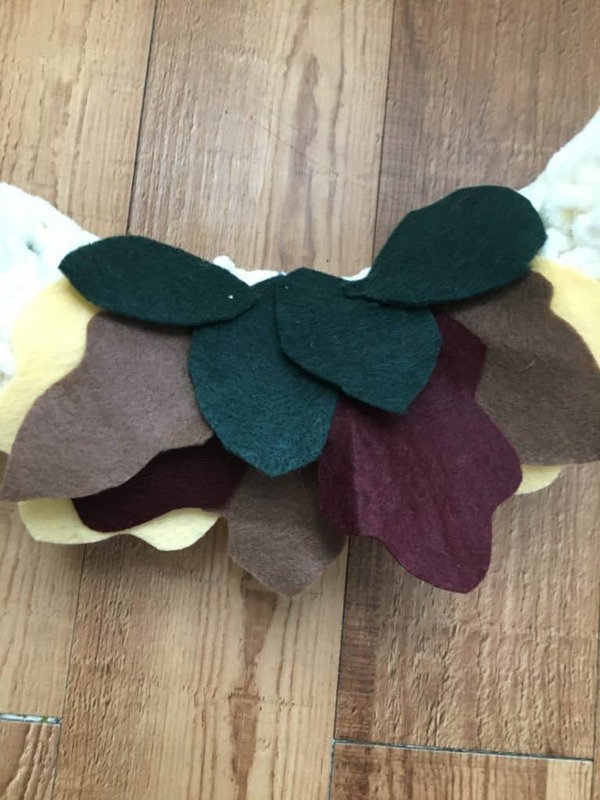 To make the leaves I cut out pieces of felt in leaf shapes and then I pinned them onto the wreath using sewing head pins. Super glue a pumpkin on top of the leaves and hang! 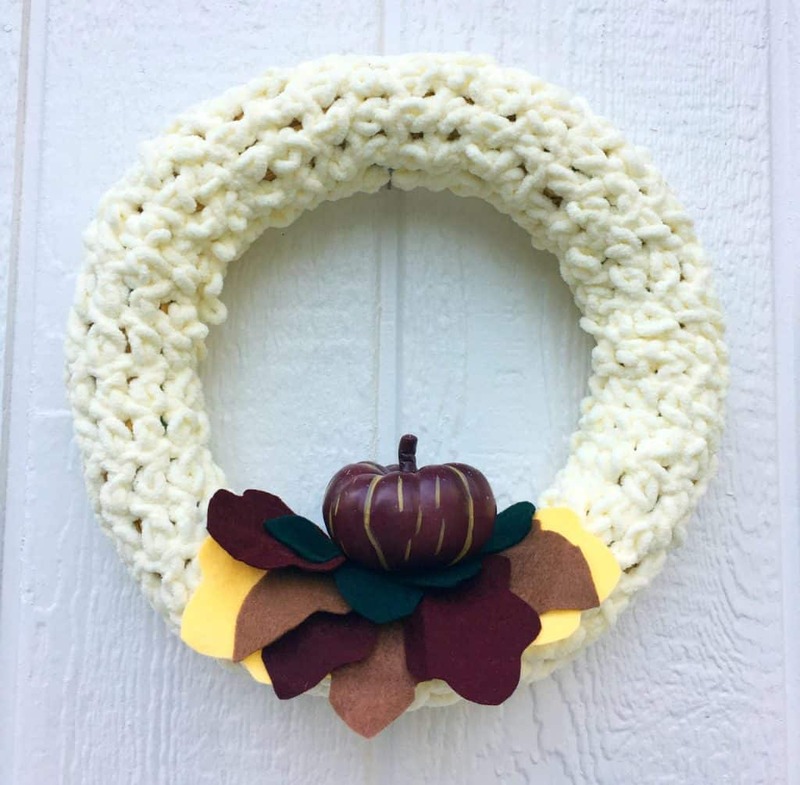 You can update the wreath for the seasons by removing the pumpkin and felt pieces and replacing them with other embellishments like flowers or holly for Christmas. I found it so much easier to learn to crochet by watching YouTube videos than by trying to read written instructions so if you are a beginner these two videos are a good place to start.